Sometimes in our search for things to post that you lot will enjoy we come across certain toys that are ultimately made for kids but also slip into the realms of Designer Toys. That’s not necessarily a bad thing, far from it. If toys are aesthetically pleasing on the eye, we can easily accept them into the fold. This week we have been speaking with LearnPlay about their Dino Series and we were instantly captivated. Something simple, something Freeny-esque, something beautiful. Check them out…. These super clean designs come in the form of five different awesome dinosaurs. If you love your dinosaurs, you’ll love these. 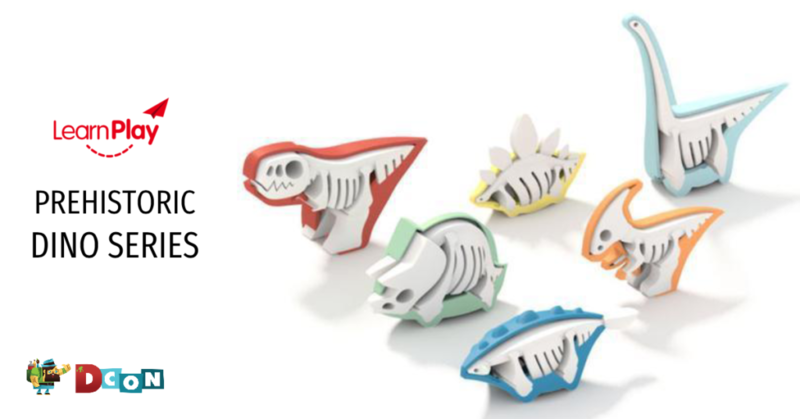 They are based on the skeleton form of the dino, each with a magnetic ‘skin’ of each design. We love the simplicity of each design. We’ll have some of these Dino Series on our DesignerCon booth too. Swing by booth #933 from 5pm tonight to check them out. Well, maybe not smack bang on 5pm as Little Play are bringing them over tonight from the LA office.